This piece is still wet because Overunder finished it as the sun set tonight as part of Living Walls : Albany. 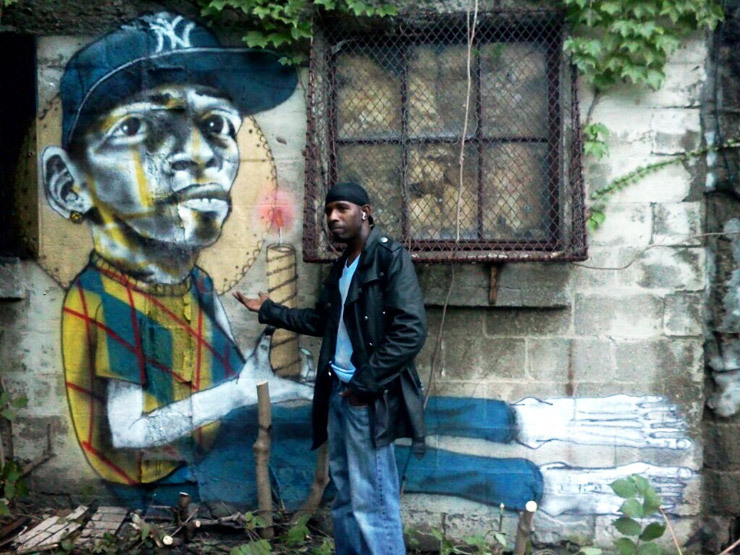 Samson Contompasis caught this quick phone pic with the subject of the portrait posing with his painted self. More Overunder coming soon!